If you don't have this book... you'll be sorry. If you don't have this book... you might lose your virginity. If you don't have this book... you will not be happy. If you don't have this book... these people will kill you. Mots is the artist of famed blog http://motsmots.blogspot.com/ and his work is impeccable. He's an educator and pretty much have done it all. Just check his site and see his work. I tell you, it's really good. You know he takes time to make each of his illustrations into a work of art. If you love the blog, you'll even LOVE the book. Trust me, I know what I'm talking about. So hold on to your seats and take the risk. Buy one on 11-12-13 (November 12, 2013) in leading bookstores and National Bookstore branches nationwide! If it's not there, please bring your machete to the store and threaten the sales lady. If they don't have it, demand for it! 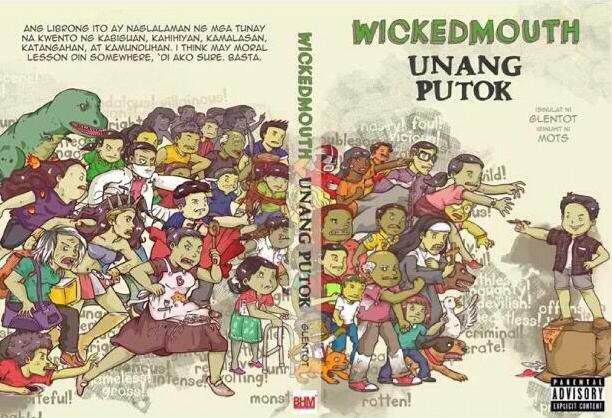 Totally a steal because it doesn't cost much.WICKEDMOUTH: Unang Putok! Need I say more?